Packing for a summer vacation to Europe with kids can be daunting, to say the least. In fact, most responses to said summer plans come down to “Oh, how fun! 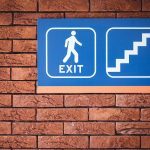 Are you ALL going?” – to which you respond with a very hesitant “Yes” and briefly question your sanity. If the long flight isn’t enough to scare you away from planning a family trip to remember, then the thought of packing for multiple little people and all of their stuff just might. To make the most of your trip – and on the cobblestone streets of old Europe – you’ll want to pack lightly and pack efficiently. Overwhelming might be an understatement. Sure, throwing together a few comfortable, cute, and transitional travel outfits for yourself is easy enough, but start jotting down everything your kids and baby might need during your travels, and that list is bound to get really l o n g, really fast. To keep it as simple as possible, break down your trip and make a list of your must-have items, then try to cross-over as many as possible. 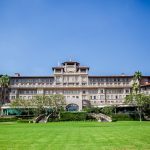 While every trip has its own needs, here are a few things we think are ideal for a European vacation with kids! Take a load off your shoulders – literally – and invest in high-quality travel bags that your kids will want to carry (because, honestly, they’ll need to). 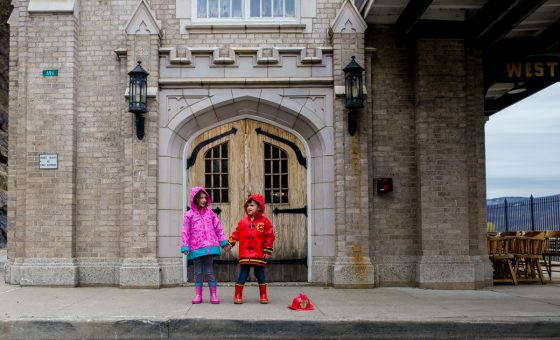 For our little travelers, we went straight to our favorite kid’s travel companion, Deuter Backpacks, one of the leading backpack brands worldwide. 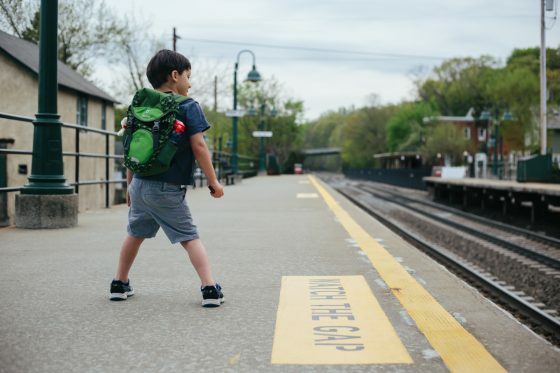 These tike size backpacks are perfectly made to withstand a great deal of hustle, fit your child perfectly, and hold everything your child refuses to leave behind – whether that’s coveted rocks he finds along his journey, or art books to keep his hands busy while on the plane or train. 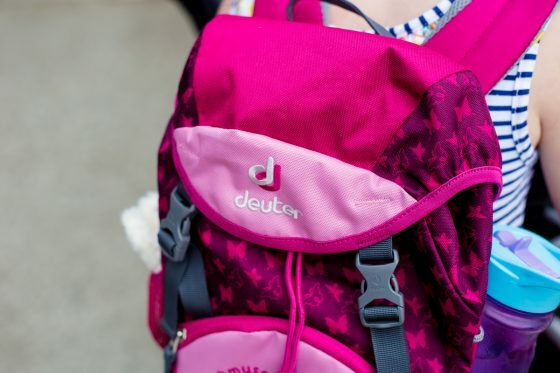 The Deuter Schmusebar backpack is perfect for kids ages 3 and older, featuring a breathable foam back for comfort, two side pockets (stay hydrated! 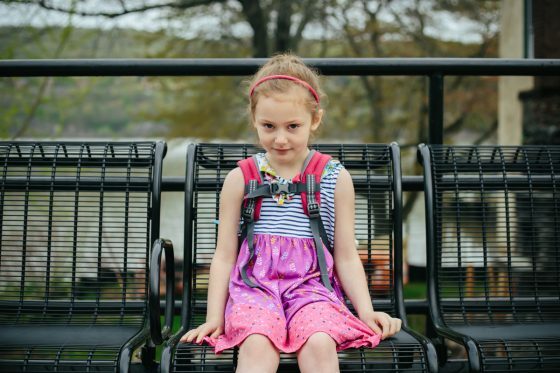 ), and a sternum strap to stabilize the backpack – perfect for kids doing a lot of walking through airports and European villages. The backpack also comes in three catchy designs: green dinosaurs, pink butterflies, or blue dolphins. 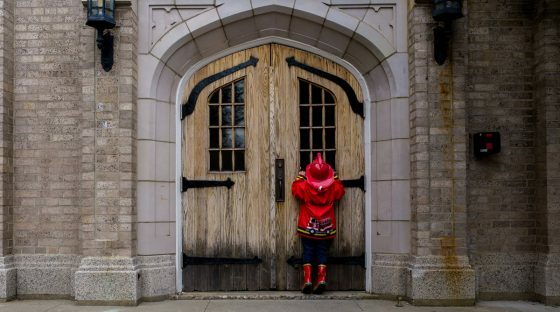 While it’s important to pack items that will keep your child entertained during down time, it’s also important that you leave plenty of room in the child’s backpack. 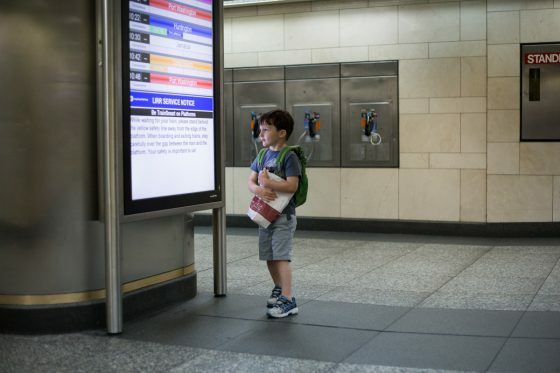 Having a child carry their own backpack is a great independence-building opportunity, allowing them to take ownership over their traveling journey. 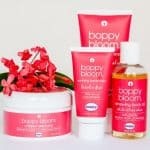 Kids can not only keep their personal belongings on them, but can also pick up things along the way, whether they are souvenirs from fun little shops, or maybe even seashells from the beaches of Normandy, France. Is your child grade school and above? Invest in a good travel journal for each child to keep in their backpack. Encourage your child to journal their daily experiences, sketch their favorite sightseeing activities, or even paste postcards from each stop amidst the pages for future reminiscing. Allow your child to make the journal… and the journey… their own. 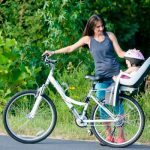 If you’ve strutted the streets of Europe before, or have even done your extensive research pre-trip, then you probably already know that many of the streets and sidewalks of the old European cities and towns are not stroller friendly. Streets marked by beautiful cobblestone are everywhere throughout Europe, and although they add to charm, most strollers are not conditioned to ride easily over the smoothly polished rocks. Getting stuck every couple of feet with an umbrella stroller wheel lodged into the side of a rock isn’t really our idea of stress-free city stroll. For this reason, and many more – have you seen the size of European cars? Good luck fitting in a stroller – we recommend keeping baby close and contained by way of an infant carrier. Did you know that every sight, sound, and smell provides your baby with valuable experiences, each tied to learning? Did you know that interaction with others around them, including nature, provides for excellent social developmental opportunities? 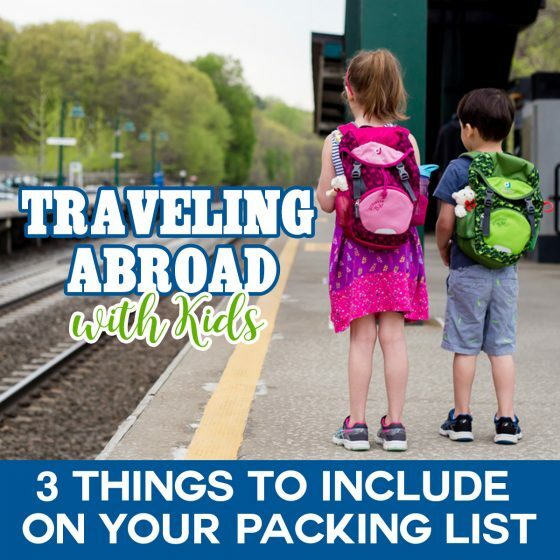 Even if your little one isn’t able to fully take in everything your European travels have to offer, he can get the most out of it by simply tagging along. The Lillebaby Complete All Seasons infant carrier, shown here in Feather Soft, is the perfect carrier for keeping baby comfortable in any weather, all while taking in the breathtaking sights or taking a snooze. The Lillebaby infant carrier features an exclusive temperature-control center panel that zips up for warmth, or zips down to reveal a cooling, breathable 3D mesh, perfect for the ever-changing summer weather. 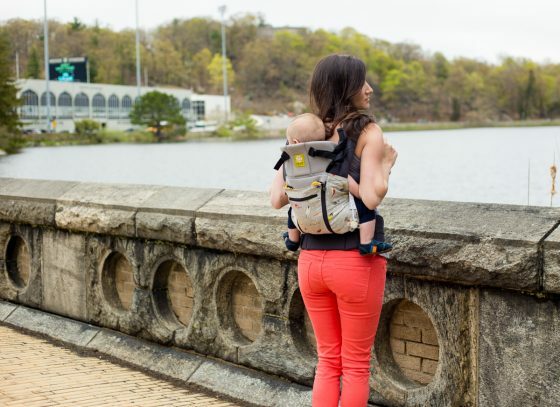 The carrier is also 100% cotton, has a hood for protecting baby from the elements, the sun during a mid-day nap, or privacy while breastfeeding on the go. A zippered pocket makes for easy access to important items, and the lumbar support is essential in making every day painless – literally. And last, but most certainly not least, the biggest reason we love the Lillebaby infant carrier for our European travels is the SIX carrying positions. 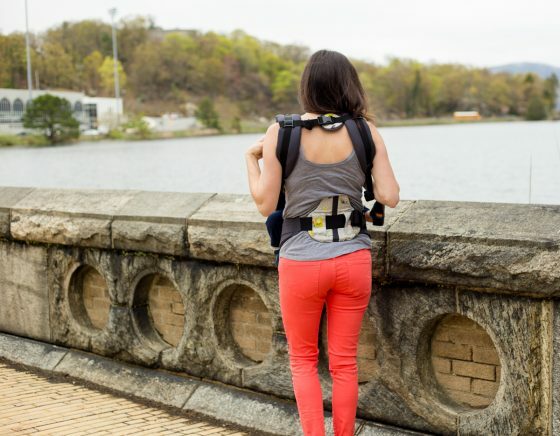 Yes, that’s right – give your hips a break and let baby take in the sights from the back, either side hip, front, forward facing, or fetal position. 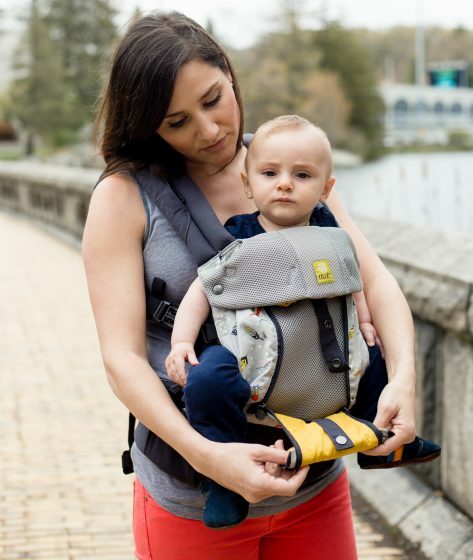 If safety is also a concern, by wearing your baby throughout your travels, you can rest assured that he or she is in the safest place possible. Handy packing tip for traveling with a baby: pack an extra set of clothing for the baby in your everyday bag AND include an extra set of clothing for yourself, too. With a baby snuggled up close against you in a carrier, diaper blowouts or spit-up are likely culprits to ruining a fun day out, fast. Weather in Europe varies greatly depending on where you are going. Some places throughout Europe are known to be a little on the chilly side with quite a bit of rain early in the summer, while the Mediterranean beaches will be warm and sunny, getting hotter as the summer progresses. In terms of clothing, we suggest packing layers for both you and your children. You’ll want to think in terms of simple t-shirts, sweatshirts, jeans or leggings, long socks that can be rolled up or down, and comfortable shoes that can match just about any outfit. If you gravitate towards solid colored tops and bottoms that can easily be mixed and matched, worn either by themselves or with a sweatshirt or light jacket, then you can be sure to not only keep your suitcase light, but mornings getting ready incredibly easy. You’ll also be able to leave room for new clothing purchases during your trip. If you plan on country hopping, it’s important that you pack for the weather so that you don’t lose crucial time out and about sightseeing. This is why we think rain gear should be on the top of your packing list. 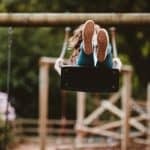 Don’t let getting wet – or even worse, your children getting wet (is that incessant whining, we hear?) be your deterrent from experiencing your family trip. Stephen Joseph has everything you need to pack to keep your children dry and happy. 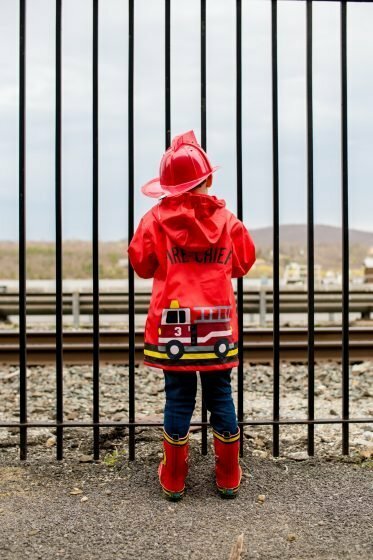 Their matching rain gear comes in any theme your child could possibly hope for – from mermaids, to pirates, princesses, and firemen, and much, much more. 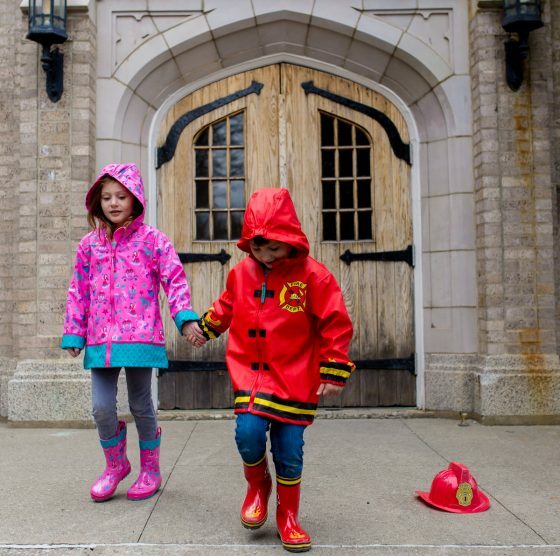 Their rain coats are lightweight, waterproof, and have a lightweight lining to take the chill off the rain. 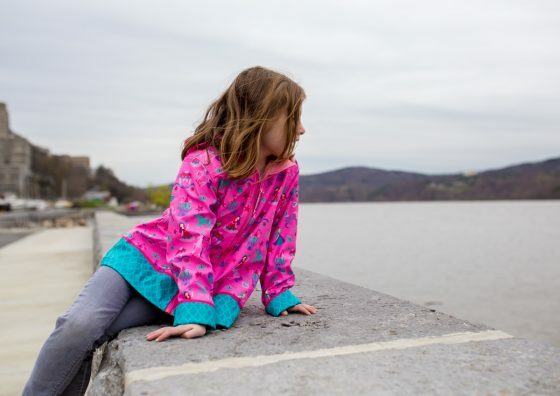 They can be easily folded and stowed away in a backpack or suitcase when not needed, but with such incredibly cute designs, your child will probably want to wear it rain or shine. Added bonus: we love that each jacket is brightly colored and designed, perfect for keeping all eyes on your kiddo in busy places. Stephen Joseph also has matching umbrellas and rain boots. 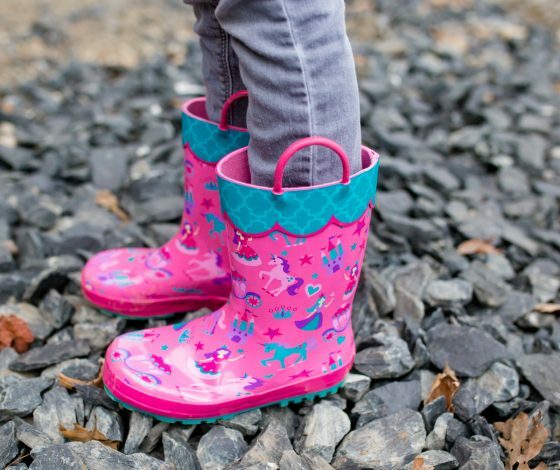 If you are going to pack two pairs of shoes, a comfortable pair of walking shoes for your child and a pair of rain boots are a must! 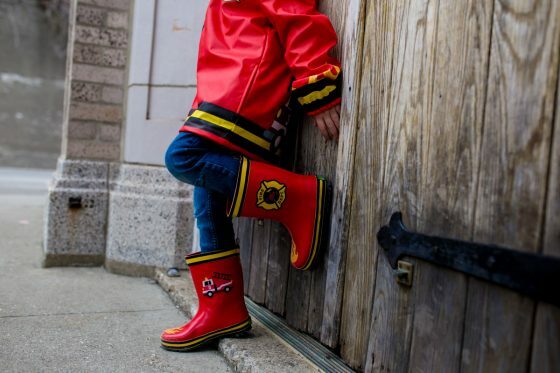 Stephen Joseph rain boots are 100% waterproof with a light liner and removable insole. They also have a non-slip sole, perfect for walking busy streets, exploring train stations, or discovering medieval castles. If packing for your trip has you questioning your entire family vacation, just remember that it’s exactly that – a vacation. Pack to enjoy the trip, not stress yourself out. Start packing early in advance, question the importance of each item packed, and keep a running list of ‘must haves’ on hand in the days leading up to your trip so that you keep your mind organized and uncluttered. Looking for more ideas to keep kids busy while traveling? 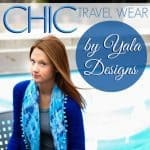 Be sure to check out Creating the Ultimate Travel Activity Kit for Kids!